Now through Halloween you can grab a free Kindle copy of my horror-themed poetry chapbook, Come Fly with Death: Poems Inspired by the Artwork of Zdzislaw Beksinski. This promotion is for two days only, so don’t delay! 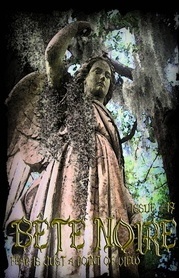 Contains reprints from: The Horror Zine, Twisted Dreams Magazine, Dark Gothic Resurrected Magazine, Indigo Rising Magazine, Gothic Poems and Fiction, Death Head Grin Anthology Vol. 2, and Fossil Lake: An Anthology of the Aberrant. Also includes several poems never before published. with turbulent screams bifurcating bones. with tangled feathers cutting the night. and wield its dashing spine. as whispering scars are left behind. break the barrier with raging clamor! Do not scrape or merely crawl. and swoop, and yawp, and bawl. October 12, 2014 is a very important date for me, and I couldn’t be more thrilled about it. That’s right, AMC’s The Walking Dead returns for it’s fifth season of Zombie action-drama goodness, and I know we are all just dying to know (Spoiler Alert!) if Carl makes it out of the train car at Terminus. In other news, my chapbook, Come Fly with Death: Poems Inspired by the Artwork of Zdzislaw Beksinski will be released on that same date. It has been over three years in the making, and I am extremely pleased to now be able to share this little chapbook with you. The ebook is currently available to pre-order for just $0.99 HERE. In honor of its forthcoming release, I wanted to also share the full cover for the printed version (seen above), as well as a brief history of how this project came to be. I started writing this book purely by accident. By that I mean I didn’t set out to write a poetry chapbook based solely on Beksinski’s artwork. One morning (on May 21, 2011, to be more or less precise, but who the hell really cares) I was looking for something to post to my tumblr, and as I had fairly recently discovered Beksinski’s work (and as a result had become completely fascinated by it), I decided to post some images of his paintings. As I looked upon one image in particular, words began to fill my brain, and so I did what writers are supposed to do when words fill their brains, I wrote them down. What resulted was a rough draft of the first poem in this collection, One in Hell. I liked what I’d written so I tempted fate again while viewing an image of a different painting. I wrote down my response, liked it, and repeated this yet again some days later. I continued to repeat this experiment over the course of the next few months, viewing a different piece of artwork by Beksinski in each case, to ultimately produce rough drafts of the twenty poems included in this collection. In the years since, I have revised these poems, restructured stanzas, changed titles, agonized over line breaks and synonyms and em dashes and capitals and commas. I have edited, re-edited, re-revised. I have submitted selected works for publication and seen many of them published in print and online. I have further analyzed the work as a whole, as well as taken each poem stanza by stanza, line by line, word by word, tweaked and adjusted and revised again and again. It’s crazy to think about it, but I can’t even begin to calculate the number of hours I’ve put into these mere 2,000-something words. Well, now it is finally ready, and I can honestly say that this chapbook is a work that I am truly proud of. I know that this won’t be for everybody, likely a very small niche group. But for those who enjoy dark writings, all things horror, surreal and/or Gothic-themed fiction and poetry, my hope is that this collection will be something that those folks can truly appreciate. Even if it’s not for you, if you happen to know someone like that, whom you think might enjoy something like this, please feel free to share it with them. I, of course, will be eternally grateful. Oh, and one last thing. I am actively seeking folks interested in reviewing this little book. I have it available electronically in PDF format, as well as a limited stock of printed proof copies that I will ship free of charge anywhere in the Continental US to anyone genuinely interested. Please comment below or message me at wesdgray(at)gmail(dot)com if you’d like to receive a review copy. All you need to do is ask. Thank you for taking the time to read these words. Don’t forget to mark your calender (10/12/14) for The Walking Dead Season 5 premier on AMC (official trailer included below, just for kicks), as well as the release date for my little chapbook, Come Fly with Death: Poems Inspired by the Artwork of Zdzislaw Beksinski.